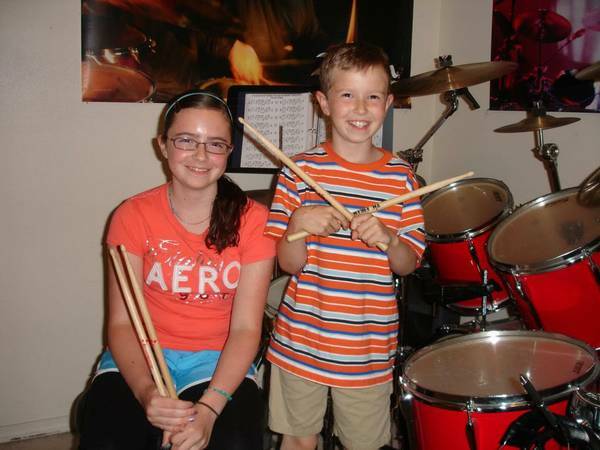 Drum lessons are so much fun and all ages are welcome! I teach at my home studio in a safe, family-friendly environment. I've been teaching in the Beaverton/Aloha area for over 30 years. 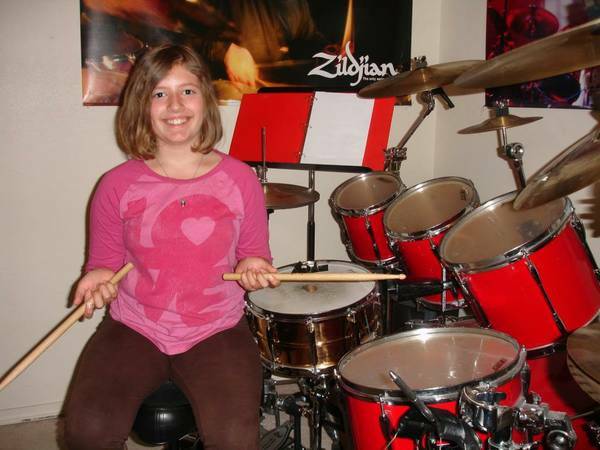 Drum lessons are so much fun and all ages are welcome! I teach at my home studio in a safe, family-friendly environment. I've been teaching in the Beaverton/Aloha area for over 30 years. I've taught adults of all ages and kids as young as 4 years old. I am well-known in the Portland-metro area music community. 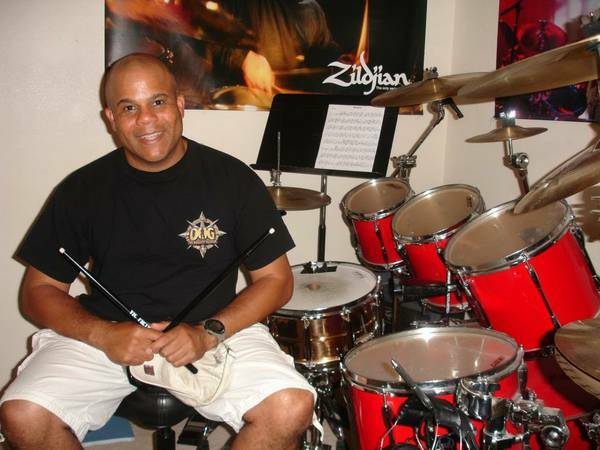 I teach all styles on the drumset, including rock, funk, blues, jazz, metal, fusion, Afro-Cuban, and rudimental snare drum. When you take lessons from me you will learn how to perform in any musical situation and feel comfortable playing any style of music. All of my students do really well and many perform in local and national acts such as Mike Byrne from Smashing Pumpkins. 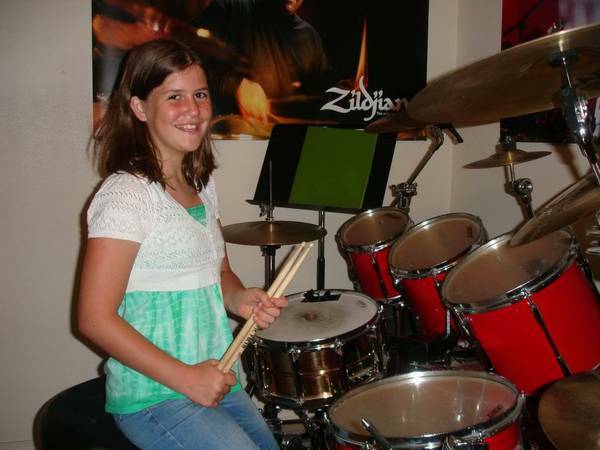 Some have gone on to win the local Guitar Center drum-offs, perform with the Portland Youth Philharmonic Orchestra, place in rudimental snare drum competitions, and received full music scholarships to Oregon colleges. I can get you there, too! Drumming is all about timing, coordination and listening. 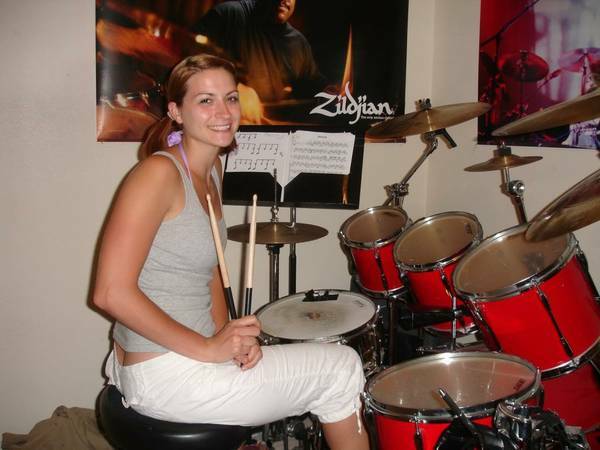 I will teach you how to play along with other musicians and how to play original drum parts. You can bring me any music you are listening to and I will show you exactly what is happening on the drums. 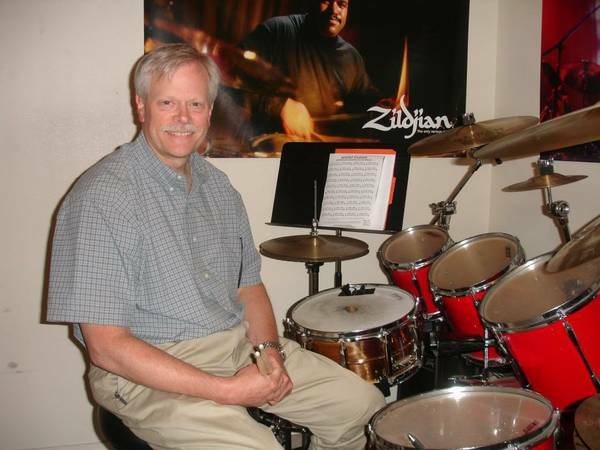 I can teach you how to keep perfect time and lock into a groove and make it swing. Justin has been working with our son for a while. He is technically gifted. Many local bands look for him because of his versatility. This is very important for us: Our son is learning to be a well-rounded drummer, not one encapsulated in one particular style of music. But most important, Justin is a very good teacher, very good with children. My son really enjoys the lessons. A plus for us is that through lessons, our son is exposed to music he otherwise would probably resists to listen to, but when it comes from his drum teacher it must be good kind of thing. In summary: I highly recommend Justin. My 12 year old son has been taking lessons with Justin Matz for a few years and throughout that time I have had all positive experiences and things to say. 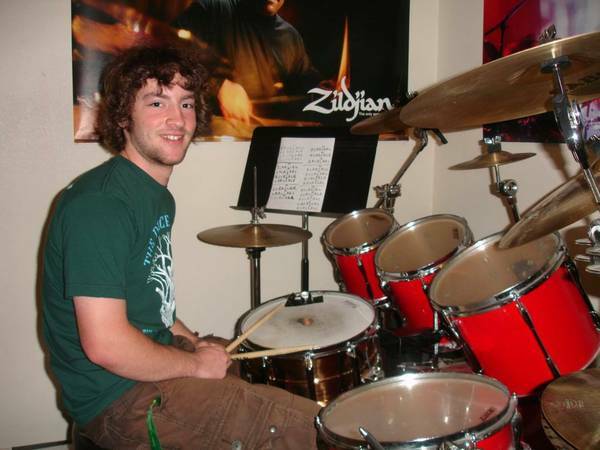 I highly recommend Justin as a drum and music teacher who is expertly talented, not only due to his technical skills but also due to his calm and patient ability to teach. Learning drums with Justin has given my son confidence that carries over into school and other social settings. It amazes me that a sought after professional musician continues to dedicate himself to helping others learn and polish the skill. My 16 year old son has been going to Justin for almost 4 years now. Justin is really easy to talk to and a nice guy. When you hear him play the drums you know immediately how skilled he is and that he is a true authority on the subject. 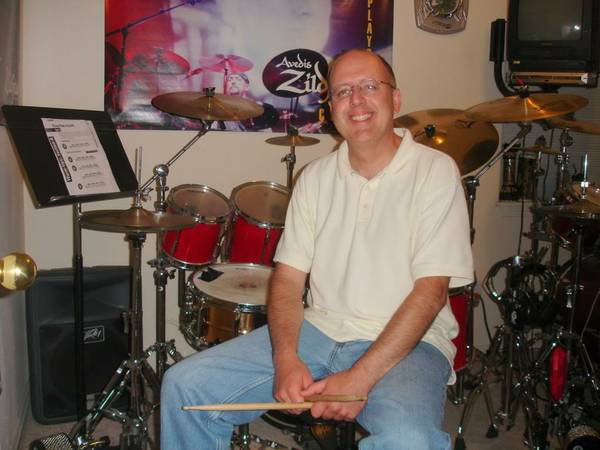 Not only can he play the drums well, but his teaching ability is excellent. He knows how to work with all types of students, including my son who has a learning disability that can make things difficult for him at times. My son sounds like a professional drummer playing rudiments and songs with complex fills and beats when I listen to him practicing. 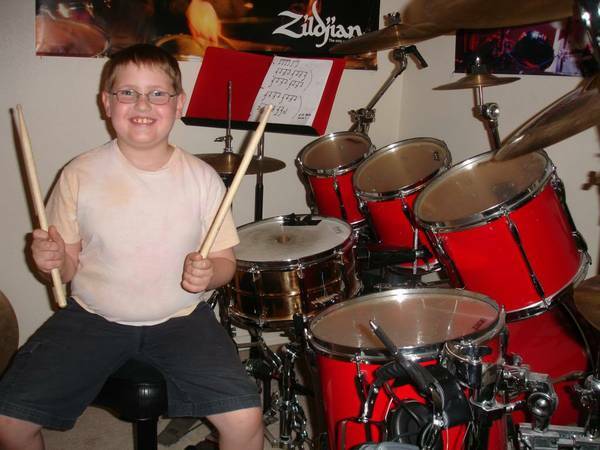 After I signed him up I found out that Justin had taught a young man drums who auditioned and won among a large competition to become the Smashing Pumpkins new drummer. Another testament to his teaching ability and expertise. I highly recommend Justin. I've been taking lessons from Justin for about a year now and he high technical ability coupled with his deep understanding of teaching has allowed me progress much faster and with more fun. The lessons are engaging and built for any experience level. The material has a wide range from theory to songs to timing. 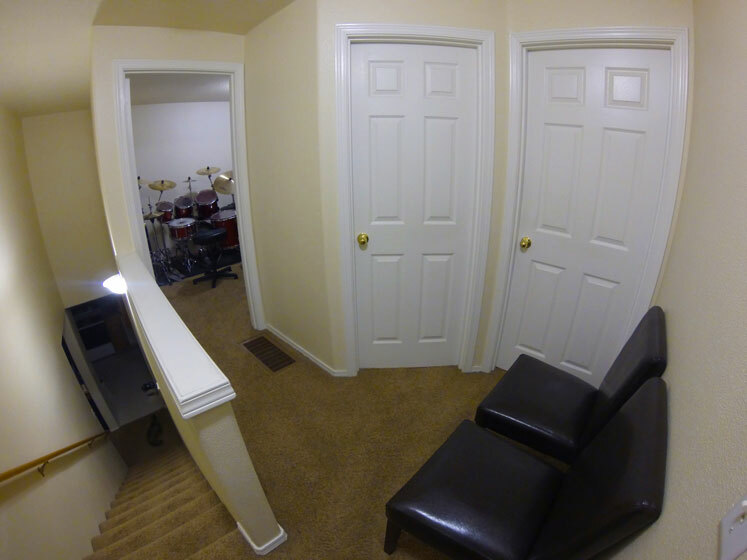 This allows really you to become a well rounded drummer. I highly recommend Justin for anyone looking to progress, or start their drumming. My son has been taking drum lessons with Justin since he was 4 years old. Justin was very accommodative; he was willing to see whether Nathan was capable of understanding basic sticking patterns at the first meeting. He has ways to make learning drum fun and exciting for little kids. I'm very glad that Justin gave Nathan the opportunity to start taking lessons two years ago. Nathan has been making a lot of progress and he's able to count, read music by himself and drum along with music. 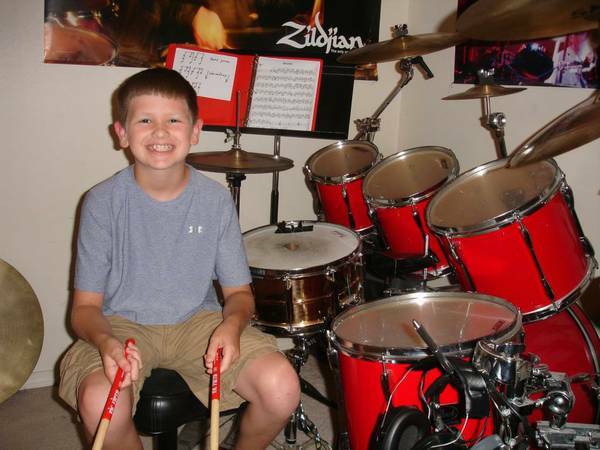 Nathan absolutely loves taking drum lessons; He said that teacher Justin picks a lot of fun songs for him to learn. Justin has been teaching my daughter for over a year. His sense of humor and patience really keep her engaged through some of the more difficult techniques where kids could be discouraged. I see him, in many occasions, finding different ways of explaining a concept during the lesson making sure my daughter understands it. I highly recommend him. I've taken lessons with Justin since 3rd grade, now I'm a junior in highschool and still taking lessons with him. He is such a motivating and inspirational person that's not just a drum teacher, but also a really good friend. 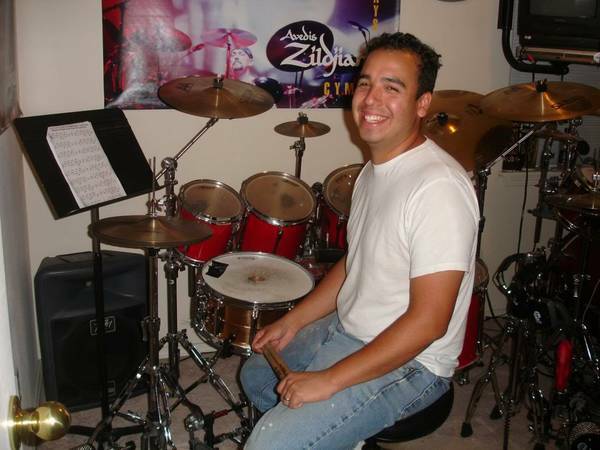 He's helped me through various drumming styles that have made me the drummer I am today. These including Latin, Jazz, Rock, Funk, Metal, and Rudimental snare drumming. He is such an accomplished drummer, he can play anything. Other than drumming physically I've also worked with him on drum transcriptions which is also a very important part of the learning process. He will also tell you how to play at a certain gig, tune your toms, what drums to buy, and so much more. He's a very organized person. 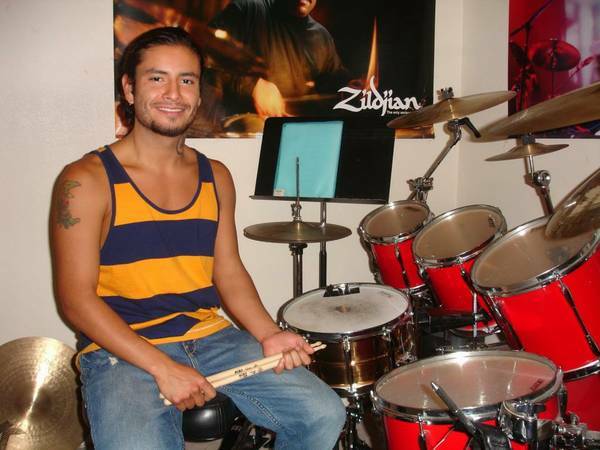 No matter where you are in drumming now, you will learn something new from him everyday! Justin is a wonderful drum instructor. Highly skilled and encouraging. My daughter has gained confidence and skill in a very short period of time. So happy to have found Justin. My daughter has been taking lessons for just under a year now. Learning to play drums requires a commitment to practice and a good teacher who can recognize the needs of each student. Justin has experience working with people of all ages and skill levels. He shows incredible patients and adapts the lessons accordingly. I have been taking lessons from Justin for three years and could not be more satisfied with the amount that I have learned. I started taking lessons from him after my previous teacher moved away. I learned more in the first month of lessons from him then I did in the year I was being taught by my previous teacher. With Justin you don't have to pay for books, with other teachers you have to pay for a new book every unit, with Justin he just prints out the pages you need to succeed. Another thing that is great about taking lessons from Justin is you get to choose the songs you want to learn, he is one of the fastest at writing down the grooves for songs. He also teaches you what grove's work best with what songs, who to listen to, and, if you have a band you can bring them in and he will help you with balance so you sound great together. Finding Justin has renewed my enthusiasm for the drums. From our very first lesson together, he has been able to diagnose and point me towards fixing all the problems with my playing and reasons behind my frustrations. After just 1-2 lessons, he was able to determine not only where I was on the road map of learning the drums, but he could also give me a time estimate of how long it will take to get me where I want to be. Only a highly experienced teacher can offer this kind of perspective. Every lesson is jam-packed with new info. I can't recommend him highly enough. Both my girls have improved their drum skills by meeting weekly with Justin. They have more confidence and love to practice what they have learned. He works on a specific skill/assignment they come with and gives them something new to learn. I took my first lesson from Justin. Seven years later, I still go see him. For drummers of any level of ability, I can’t recommend him highly enough. For beginners, there are two huge reasons to see him: The first is he relates well to both kids and adults. When I arrived early for lessons, it was cool to see kids come out come out of a lesson all fired up to go home and practice what he had just shown them. He loves what he does, he’s good at teaching it, and that enthusiasm rubs off. Second, he has grooved his system for teaching beginners. I always had about the right amount of stuff to work on between lessons. As I progressed, he did a nice job of moving me a little farther along. I still have all my notes and photocopies from my first year, and I go back to that binder from time to time to review. I have plenty of other drum books by now, but his lessons are the ones I go to first. He also encourages you to bring in songs you want to learn, and he sends you home with transcriptions of how to play the beats and the fills. 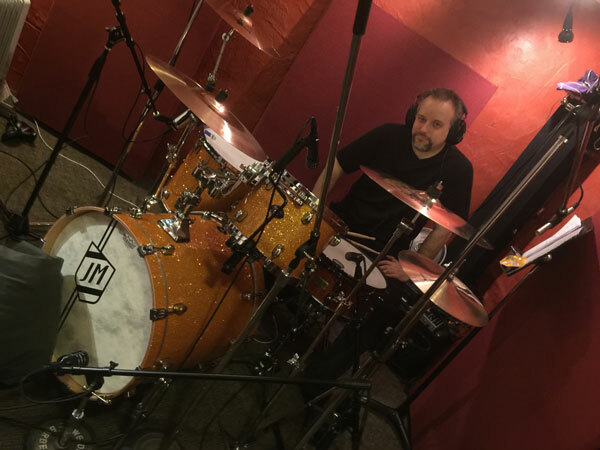 Playing along to your favorite records is not only insanely fun, it’s a fantastic way to gauge your progress, and to start listening closely to what other drummers are doing. Parent of 7th grader: He always tries his best to show my student different ways of figuring out the rhythms, and has good suggestions for tools and techniques to use while practicing at home. He encourages my student to practice at home and always praises her for trying her hardest and when she manages to work out a difficult piece. I trained with Justin a bit over a year (as an adult) and couldn't be happier with both him and the results. In my case, he made the rudiments relevant to the music that *I* liked, which made it far easier to learn. 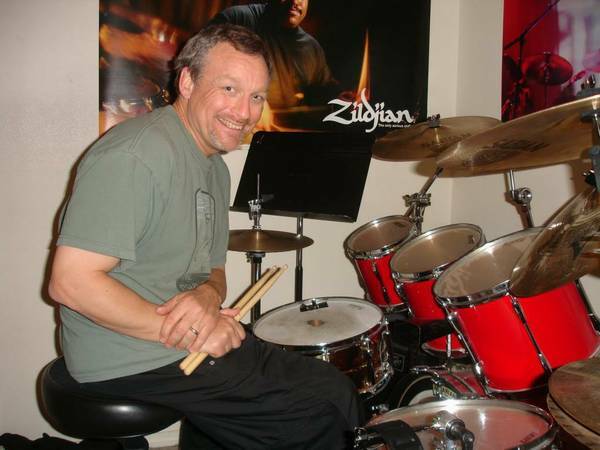 In addition to that, he introduced me to a variety of different styles of drummers that I hadn't encountered before (Akira Jimbo, Dave Weckl, and Marco Minnemann to name a few), and introduced me to nuance of drummers I had known but never really listened to closely (Ringo Starr). Not only were the lessons worthwhile, he also broadened my horizons both musically and technique-wise. Sign up with Justin. You won't be disappointed! Justin is worth every dollar you spend! He is incredibly patient and his teaching style is impressive, definitely worthy of praise. My 9 year old has been taking lessons from Justin as a beginner since January; I'm not only thrilled by how quickly he has learned what Justin has taught him but also grateful for Justin's approach and the way that he keeps my son interested and excited...he welcomes mistakes and creates confidence in his student which makes the experience not only productive but enjoyable. He's family friendly and encourages the involvement of the parents at each lesson. If you are considering lessons with Justin, you will find that you pick up skill quickly and yet at the pace that you need. Highly recommend!! Justin's knowledge and talent is only surpassed by his ability to teach each student individually, with the perfect blend of patience, high expectations, encouragement and fun. Justin is a very patient and encouraging teacher with lots of real-world, professional playing experience to back up his wealth of technical knowledge. He clearly still loves playing, and consistently works on improving his own skills, which is inspirational and shows what practice can achieve. I have experienced him being just as comfortable and effective teaching kids and adults of all ages. As long as they practice at home, I can't see anyone being disappointed with the results. I have been taking lessons from Justin for 4 years and he has helped me in many ways. From talent shows to working with me to help my individual skills so that I can play anything. Money well spent! Justin provides structured lesson plans tailored to grow my abilities. His skill, knowledge, patience and endless enthusiasm for drumming has kept me motivated and focused on improving. Beyond me, I have observed his approach with students much younger than myself and I’m impressed with his communication style and ability to connect. Justin is knowledgeable and enthusiastic. His lessons have really helped my daughter to get ahead in her school band. I can highly recommend him. My son has been working with Justin for about three years and has shown great improvement in that time. 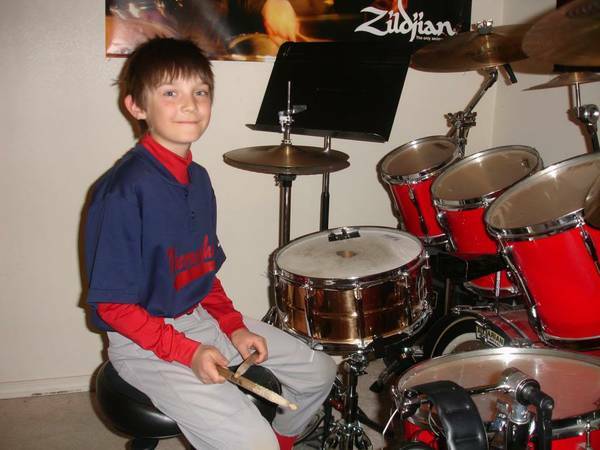 He continues to grow as a drummer each week with his lessons and homework practice. Justin is a true professional and knows how to bring the best out in his students. 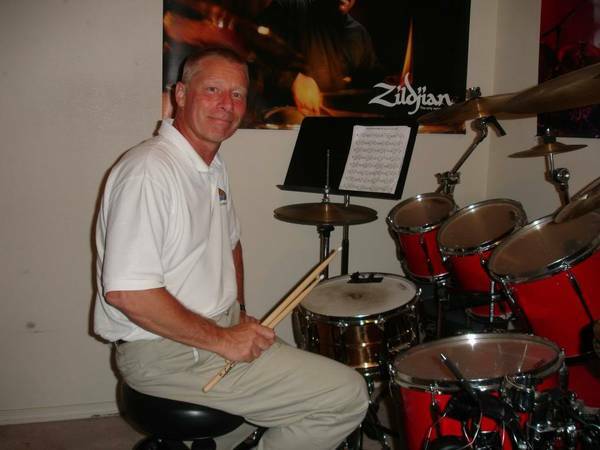 His knowledge of drumming and techniques covers all musical genres and I would highly recommend him if you are looking for a drum teacher! Incredible musician and he gives detailed explanations. 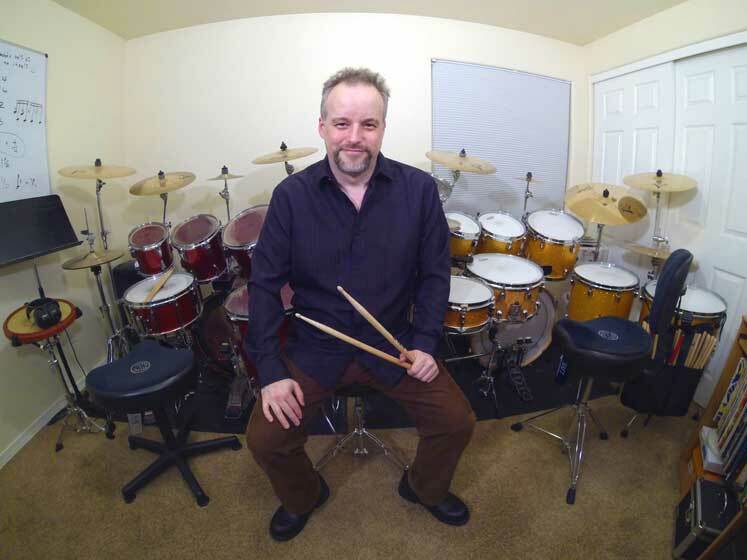 He helps you build a base to expand your drumming upon, and gives you fundamentals rather than just showing you how to play certain beats, or styles. The content and insight Justin provides is well worth your money. My 13 year daughter has been taking lessons w/ Justin for about 9 months. 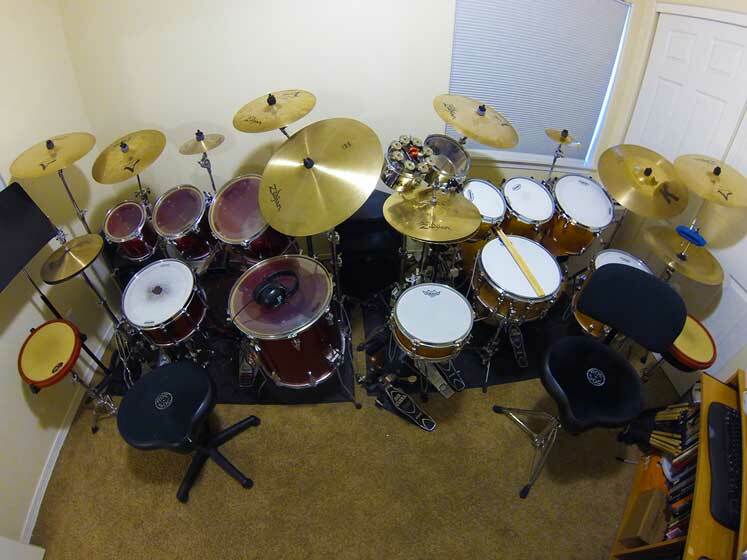 He has a great set up in his house where she can improve her drumming. Justin is a good teacher who both motivates and connects w/ his students. Justin is a diligent teacher who expects his students to succeed. He continually brings energy and excitement to his lessons and has a way of motivating his students to excel. My son has learned more in 6 months with Justin as his teacher than he has in the past 6 years with other drum teachers. 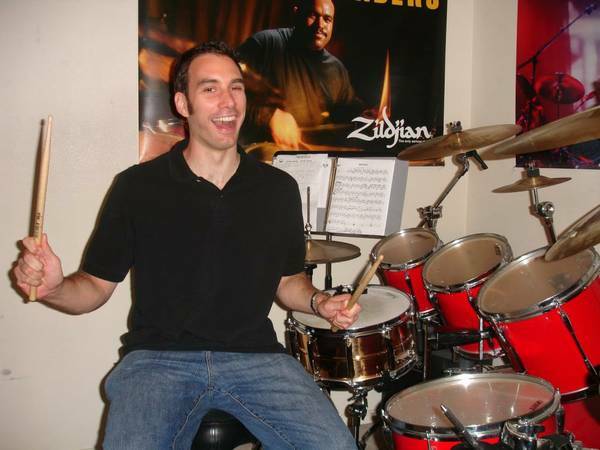 Justin is a great instructor for students interested in learning/fine-tuning playing acoustic drums. I found Justin to be a wealth of knowledge in all areas of music. He was a great resource for my son and expected a lot out of his students providing weekly homework assignments for students to work on in between lessons. Justin is a top notch drummer, and an excellent teacher. He really knows how to carry a student through the learning process, from beginner through advanced. 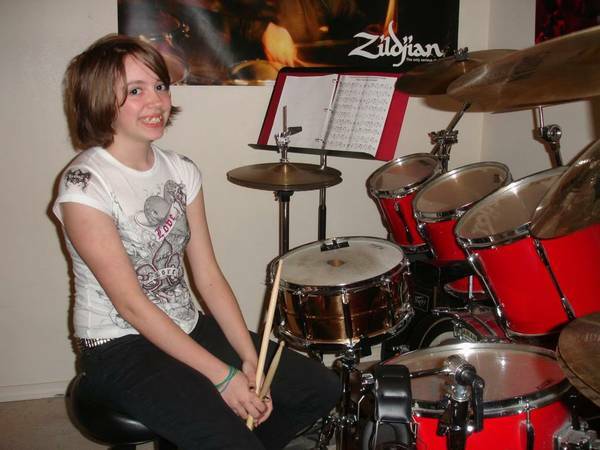 My daughter was attending drum lessons at a local music school, but the instructor left, and we switched to Justin. The difference was just astounding!! My daughter’s progress has been pretty fast so far. Justin teaches technique and music theory (reading sheet music), so it’s far more than just learning to play songs by memory. Definitely a good teacher!! Check out these videos from some of my most notable students, including Mike Byrne from the Smashing Pumpkins; Tim Skerpon from the band Melville; and Bryton Wilson from the metal bands Ocean of Mirrors, Paragon, and Dead Crown. They all started as absolute beginners with me. As you can see, I get results! I started playing drums in high school after playing the clarinet through elementary and middle school and realizing it would be very difficult to find work as a clarinet player later in life. My younger brother was already a drummer and so I started banging away on his drums. I am glad I switched instruments because I saw all my friends put their horns in the closet after high school and never play them again. 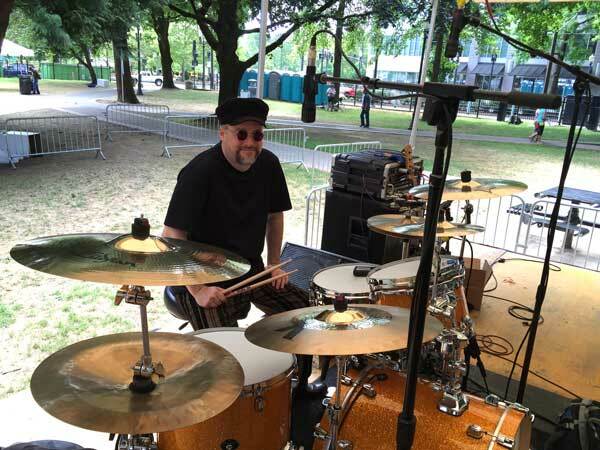 I was initially taught by my 15-year-old friend John McEntire from Sam Barlow high school who was the number one rudimental snare drummer in the state of Oregon. After a few months, I started taking lessons from his teacher Don Worth and was soon performing in competitions myself. From the beginning I was always playing in a band of some kind whether with friends from school or older more experienced players I met through my teacher. 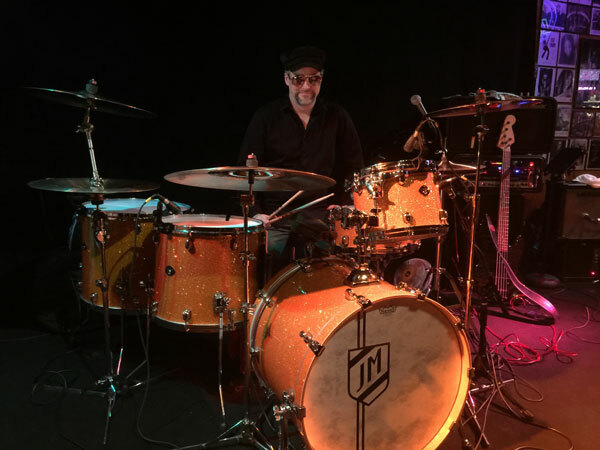 Over the years, I have had the opportunity to study with drumming legends Thomas Lang, Stanton Moore, Johnny Vidocovich, Dr. John Wooten, and Shannon Powell. There is no such thing as talent. It's all hard work. If you have a teacher with the right information, and the time and dedication to put into practicing, you can accomplish absolutely anything. During my career I have had the pleasure of performing with Bo Diddley, Rae Gordon, Karen Lovely, Federico Pol, Jim Mesi, Big Monti, Paul Delay, Kevin Selfe, Robbie Laws, Norman Sylvester, JR Sims, Terry Evans, Mark Lindsay, Jay Bird Koder, Steve Bradley, Jesse Samsel, Gretchen Mitchell, Dover Weinberg, Megan James, Doug Rowell, Kinzel & Hyde, Echo Park, Emergency, Job Killing Robots, Matthew Russell, The Coasters, Steamy Windows, Lloyd Jones, Duffy Bishop, Mark Dufresne, Eddie Martinez, and Jeff Healy. So come take lessons from me! It's so much fun! Anyone can do it! If you want to be a famous rock star I can help you get there! Just remember it takes lots of practice and dedication. If you are up to the challenge so am I! Contact me about lessons or send me a message with any questions you have using the form below. Feel free to call me anytime at 503-957-0717. ©2019 Justin Matz. All rights reserved.